Forget about scouring a 15,000 page document to stay current with employee benefits. We've got you covered. How does OneSource make ACA Compliance a Simple Process? Our OneSource platform is customizable. Your workforce data flows to populate the applicable HR information anywhere in our system. ACA Management and Compliance is no different. 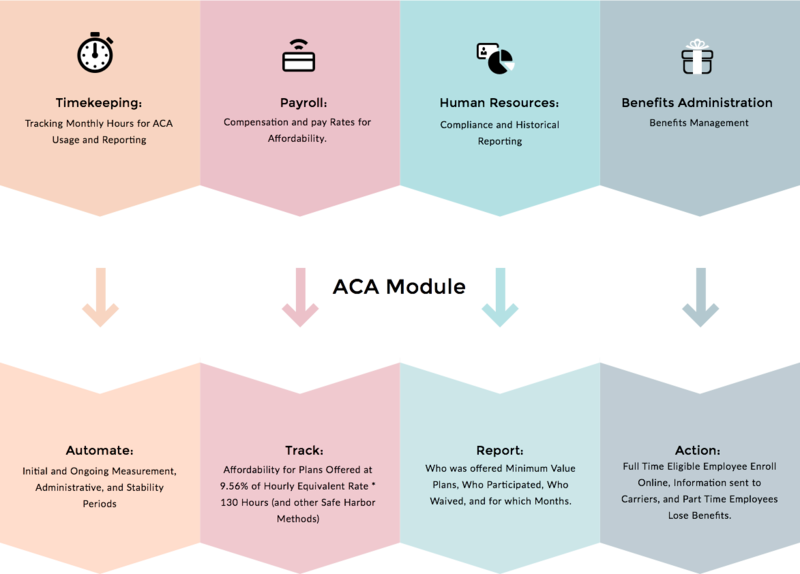 All you have to do is turn on the ACA module, and we'll automatically keep you up to date.